VirtualBox 4.0.0 Beta 1 0 out of 5 based on 0 ratings. - New settings/disk file layout for VM portability; see chapter 10.1, Where VirtualBox stores its files. - Open Virtualization Format Archive (OVA) support; see chapter 1.12, Importing and exporting virtual machines. - VMM: support more than 1.5/2 GB guest RAM on 32-bit hosts. - Language bindings: uniform Java bindings for both local (COM/XPCOM) and remote (SOAP) invocation APIs. - Audio: Intel HD Audio is now available as guest hardware, for better support with modern guest operating systems. - Resource control: added support for limiting a VM’s CPU time and IO bandwidth. - VMM: fixed guru meditation when running Minix. - GUI: add the possibility to delete all harddisk attached to an VM, when this VM is deleted. - GUI: built-in creation of desktop file shortcuts to start VMs on double click. - GUI: add configuration dialog for port forwarding in NAT mode. - 3D support: allow use of CR_SYSTEM_GL_PATH again. - 3D support: fixed various clipping/visibility issues. - 3D support: guest application stack corruption when using glGetVertexAttrib[ifd]v.
- SATA: allow to attach CD/DVD-ROM drives including passthrough. 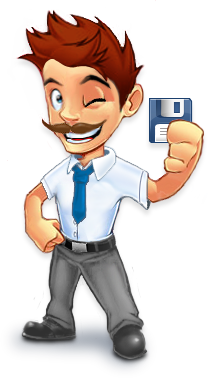 - Floppy: support readonly image files, taking this as the criteria for making the medium readonly. - Audio: the DirectSound backend now allows VMs to be audible when another DirectSound application is active, including another VM. - Storage: Apple DMG image support for the virtual CD/DVD. - Linux host USB support: introduced a less invasive way of accessing raw USB devices. - Linux Additions: Shared Folders now support symbolic links.